Dr. Schroth completed graduate work in urban planning in Europe, focusing on the planning and GIS / geovisualization interface for climate change. 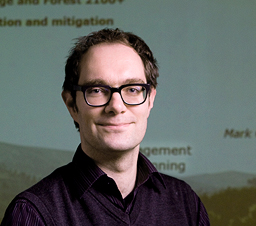 He joined UBC in 2008 to lead the development of interactive visualizations for the Kimberley Climate Adaptation Project. In the Future Delta project, he evaluated the role of imagery before starting as lecturer in landscape planning and GIS at the University of Sheffield in 2012.